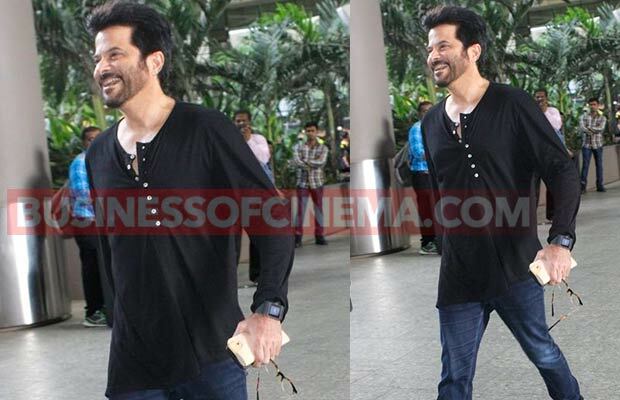 Airport Diaries: Varun Dhawan, Jacqueline Fernandez, Riteish Deshmukh And Others Go Stylish! Home BOLLYWOOD Airport Diaries: Varun Dhawan, Jacqueline Fernandez, Riteish Deshmukh And Others Go Stylish! [tps_footer]We all are aware of our Bollywood celebrities and their on the go life. B-town celebrities are often on the move for the shooting of their films or be it for a holiday trip. Their busy schedules make them fly in and out of the city and with this, some of the stars were spotted at the Mumbai airport on July 13, 2016. Bollywood stars Varun Dhawan and Parineeti Chopra, who recently launched their song ‘Jaaneman Aah‘ from Dishoom, were spotted together at the airport. The two stars color-coordinated their outfits. Varun looked cool in black and black sporty look while Parineeti Chopra looked refreshing and pretty in a black sweatshirt and ripped denim. On the other hand, also spotted were Great Grand Masti stars Riteish Deshmukh, Vivek Oberoi, Aftab Shivdasani and Urvashi Rautela. While the film is nearing its release on July 15, the stars are rigorously on a promotional spree. The stars are leaving no stone unturned for the promotions of their film despite the film has been leaked online. As the film was leaked online, the makers of the film decided to prepone the release date of the film from July 22 to July 15. Previous articlePhantom Bags Rights To Make A Film On India’s 1983 World Cup Win!